On Wednesday, October 10th, 55 Our Lady’s students ran in the District Cross Country competition held at St Cecilia’s Catholic High School. It was a fantastic night which was rather unusual for the time of year the event takes place. All students ran with courage and determination and they also cheered their older/younger peers on from the side. We are very proud of all the runners who took part. Congratulations to the following runners who managed to place inside the top 10 in their age/gender category. 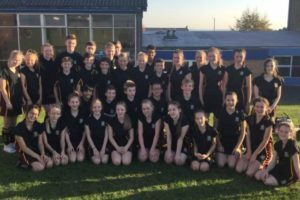 They will now have the opportunity to progress and represent Preston in a County competition which is a fantastic honour and achievement.